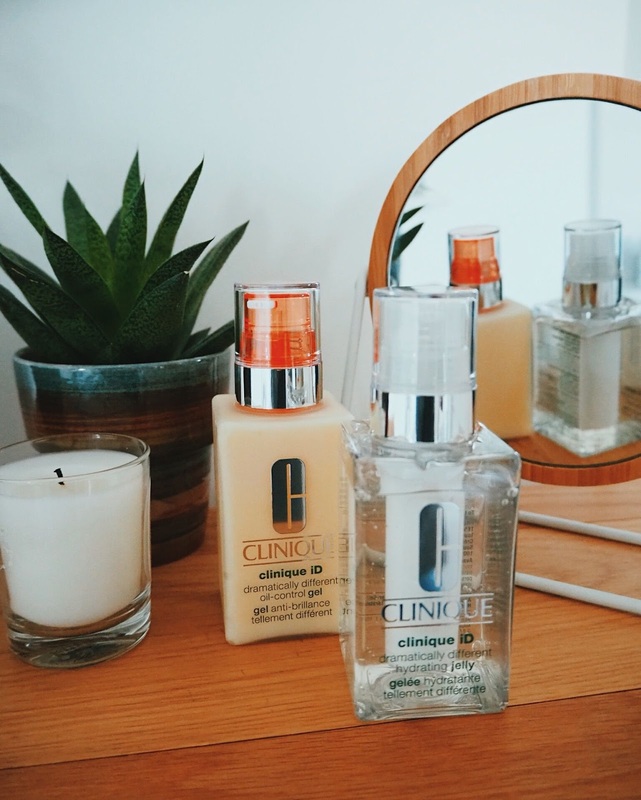 Creating your own Clinique iD Hydrator really is as easy as 1, 2, 3! In fact this is actually quite literal as you can have your very own hydrator is just three very easy, breezy steps. No fuss, just clear steps which concentrate on exactly what is right for you and your lovely face. Step One is all about choosing the correct base. There are exactly three bases to choose from all of which cater to your lifestyle. 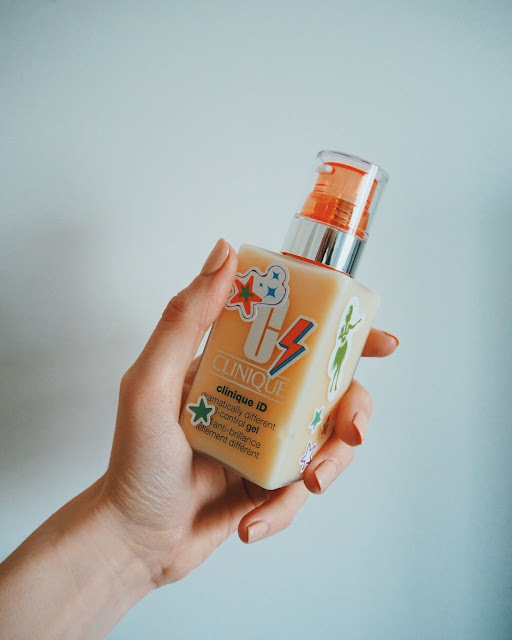 Simply choose between an Oil Control Gel, ideal for those of us who tend to find our skin is a little on the oily/shiny side and want to avoid a heavy duty moisturiser. Or pick a Dramatically Different Moisturizing Lotion, perfect for those of us with dry skin who want to lock in as much moisturise as possible (and not to do the hard sell on you guys but this is in fact the UK's number one moisturiser so surely it's got to be doing something incredibly right). 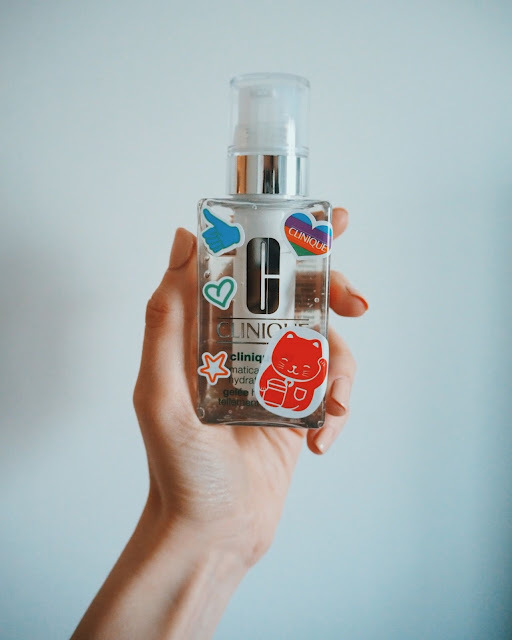 Or make like me and pick Clinique's Hydrating Jelly! For me this hydrator just felt so right for my lifestyle as it offers 24 hour protection against pollution, so when I'm travelling here, there and everywhere I can be safe in the knowledge that my skin isn't going to pay the price for it. What's more the Hydrating Jelly is also oil free and when trying it out for size I was so pleased with how fresh and light the consistency felt. No sticky, heavy texture just a healthy glow ideal for travel days! Step number two is all about selecting the right cartridge to add into your hydrator (the colourful, rather fancy little stick which neatly slots into the middle of your bottle). Now this is the step which I absolutely loved because I feel like it's the part which really recognises your concerns and needs. You are able select from a wide range of cartridges designed to target a specific area which you personally feel needs a little help in the right direction. You can select from concerns such as lines, fatigue, irritation, pores or as I picked uneven skin tone. I find most of the time I'm either going through a break out on my skin or I'm suffering with the aftermath which are red patches where the blemishes once were! A busy lifestyle added into the mix doesn't seem to help matters, with my skin tone often appearing a little patchy from different environments, temperatures and long hours wearing make up. Clinique's uneven skin tone cartridge simply helps to calm your skin down and give it back the brightness you want. Added Japanese Angelica Root also helps to improve skin pigmentation to create a much more even, healthy looking skin tone.